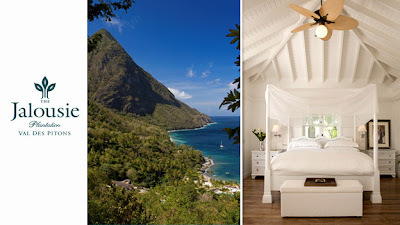 ABC's The Bachelor FINALE TONIGHT: On the Wings of Love, starring Texas pilot Jake Pavelka, The Jalousie Plantation in St.Lucia is the setting for the finale. The resort is offering a special Bachelor package. This season ABC was offering a contest to viewers to win a vacation for two at The Jalousie Plantation as part of the Rose Ceremony Game. Those not lucky enough to win can book the Wings of Love package which starts at rates of $3304 from February 23 to April 17, 2010; from $2856 April 17 to May 31, 2010; from $2660 June 1 to October 15, 2010; and $2856 October 16 to December 16, 2010. The package includes four nights in a luxury villa with an ocean view, a bottle of Champagne, a single long-stemmed red rose, a Jeep safari, a visit to the Sulphur Springs spa seen in the show, a romantic candlelit dinner and breakfast in bed on one morning of your choice. 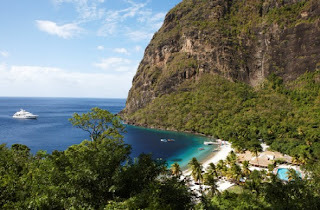 ST.LUCIA IS MY BIRTH COUNTRY and ISLAND HOME! boooo for chooisng vienna. but yayy for lucia!